Fill the glass with ice. 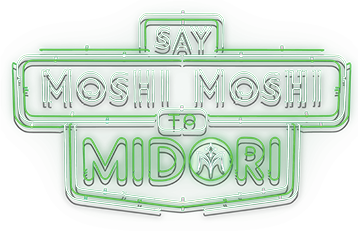 Pour in Midori®, coconut rum and pineapple juice. 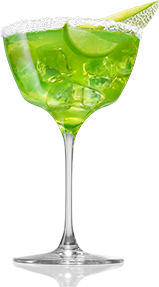 Stir gently from the bottom of the glass. 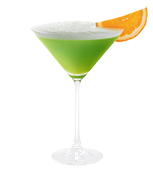 Top with ice, layer cream on top, and garnish with a pineapple wedge/slice. 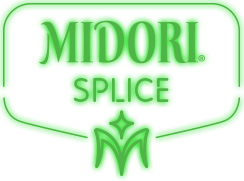 *Midori® prohibits the sharing of this work with individuals under the legal purchase age for alcohol.